Israeli businessmen and investors for the first time in history is about to storm the South East of Nigeria in a business investor’s forum meant to seek opportunities for investment in the zone. The investment summit powered by Diamond Youth Initiative is being facilitated by powerful investment minded senior citizens of the South East as means of ending the spate of unemployment, joblessness and restiveness in the region, through partnership with Israeli businessmen. 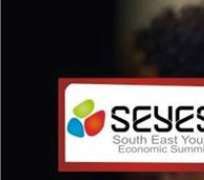 The Summit tagged ‘South East Youth Empowerment Summit’ , SEYES, is scheduled for the 6th and 7th of October at the Dome Event Centre, New Haven , Enugu by 10am. Briefing the Director General of Igbo Mandate Congress, IMC, Rev Obinna Akukwe, in Enugu during a courtesy call, the President of Diamond Youth Initiative, Uchechukwu Ekpere Paul (Ambassador) said that the summit will create over 20,000 jobs. According to Amb Uchechukwu “This summit is an attempt to give the youth of South East a means of livelihood, reduce unemployment, and accelerate the industrialization of the South East”. Amb Uchechukwu stated further that "prominent Israeli businessmen will be seeking opportunities for investments in areas like Agriculture, Information and Communication Technology ,Global Skills Accounting, Education ,Solar Technology and Automobile Technology"
He listed some prominent businessmen among whom are Ambassador Itshak Oren,former Israeli Ambassador to Nigeria and Benin Reublic, Colonel Yigal Barzilay, Mr Drio Ator, Mr Ilan Shekel, Mr Assaf Mr Diamant Dolev, Dr Kaspi Yoram, Dr David Day who will be interfacing with South East businesses. The summit is also expected to showcase change and modernization by bringing the best in Agriculture, Information Communication Technology, Education, and Skills Acquisition for young people and entrepreneurs. It will also act as a catalyst for economic emancipation in the South East. Amb Uchechukwu believes that linking the Israelis with successful entrepreneurs will also help the South East youth develop a world class training and investment programs that will enhance skills and development needed for the development of the South East . The Director General of Igbo Mandate Congress, Rev Obinna Akukwe , in his response, described Amb Uchechukwu Ekpere Paul as a man of vision whose initiative can make South East the Japan of Africa. He also commended the efforts of Professor Chinedu Nebo, Dr Chukwuemeka Ezeife and other key Igbo leaders who are linking up the Israelis with the South East on a purely economic purpose. Professor Chinedu Nebo, former Minister of Power and Dr Chukwuemeka Ezeife, former Governor of Anambra State is among the key facilitators of the event. Governors of the South East are said to be warming up to receive the Israel Investors. Enugu Chamber of Commerce and Industry are on red alert. Hon Charles Ndukwe, Commissioner for Youth, Enugu State has pledged the support of Enugu State Government to the summit holding in the state. Igbo Mandate Congress advises all Igbo Youth who are interested in entrepreneurial opportunities to take advantage of this summit and develop their skill and economic potentials. Igbo Mandate Congress also calls on all business men interested in the aforementioned key areas of agriculture, automobile technology, solar power technology, global skills accounting, education and other technical skills accounting , to partner with the organizers of SEYES and Israeli experts and accelerate the industrialization of the South East.